Discussion in 'VaporJoes USA' started by VaporJoe, Sep 13, 2018. 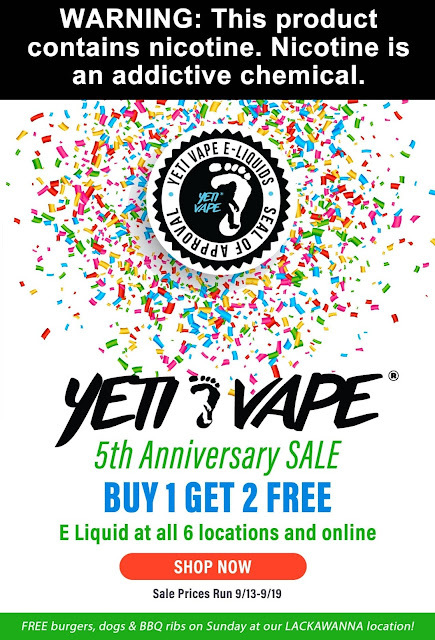 Yetivape is doing the rare buy 1 get 2 free. One of the best juice deals going! When you buy 1 and get 2 free on the 10, 30, and 120ml bottles of liquid! If you haven't tried Yeti - now would be a great time. If you love Yeti? Stock up! A CRAZY DEAL! GET IT NOW!